Emergency Departments (EDs) serve as a safety net for the unmet medical and social needs of the community. The current opioid crisis is no exception. Emergency medicine providers often have limited options when caring for patients presenting to the ED after an overdose, in acute withdrawal or suffering from a medical condition which is affected by their opioid use. Dr. Josh Lynch and colleagues in Erie County sought to establish an ED-Initiated Buprenorphine Network (EDIBN) to allow emergency medical providers to initiate medication for addiction treatment (MAT) in EDs throughout Western New York and rapidly link patients to continuing community-based care. The Buffalo MATTERS (Medication Assisted Treatment and Emergency Referrals) network was established as a joint venture between the University at Buffalo Department of Emergency Medicine and the Erie County Department of Health with grant support from a local community foundation. Together, they helped train medical providers in the ED how to prescribe and become waivered to prescribe. If a patient is diagnosed with an opioid use disorder and currently in opioid withdrawal, he/she receives a dose of buprenorphine in the ED and then a prescription to go home with. If the patient is diagnosed with an opioid use disorder but is not currently in opioid withdrawal, he/she receives a prescription for a short course of buprenorphine and instructions to take the first dose when symptoms of opioid withdrawal begin at home. Currently, patients receive a guaranteed 7 days of medication after they leave the ED and are set up for ongoing care when that prescription runs out. ED providers are able to make a single call to a centralized scheduling office available 24/7 to set up that ongoing care. A follow-up appointment at the patient’s choice of outpatient MAT clinic appointment date is chosen within a week of the ED visit (typically within 48 hours). The MAT clinic then calls the patient during business hours to confirm the appointment date, time, and location. All MAT clinics have agreed to set aside appointments for the EDIBN. All emergency departments and MAT clinics have agreed to comply with the EDIBN’s mission, vision, and values statement. 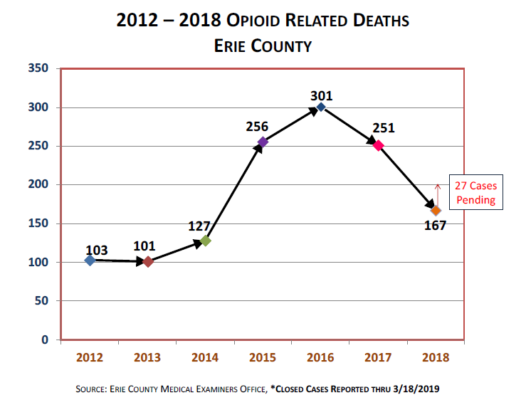 Preliminary outcomes show that the Buffalo Matters approach may be helping reduce opioid related deaths as shown in here. How is Buffalo Matters able to do this? Buffalo Matters has created a network of emergency departments and MAT clinics, all linked by a single 24/7 scheduling center and all agreeing to a single mission, vision and value’s statement. At present, 13 hospitals in Erie County are referring to 39 different MAT clinics. They have over 100 weekly appointments set aside for patients referred from participating hospitals. 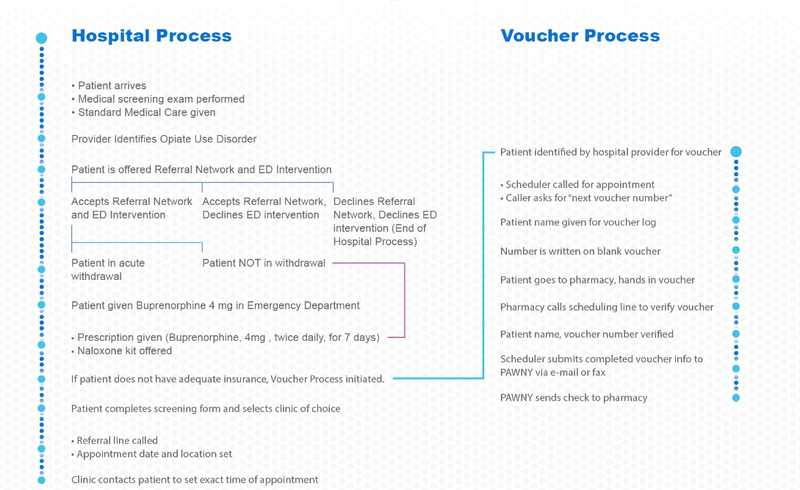 With support from the New York State and Erie County Departments of Health, a voucher program has been developed to cover the cost of medication for the first week after hospital discharge. The network’s standardization, streamlined approach, and ease of use for emergency providers makes it a best practice model for other regions wishing to establish their own EDIBN. Several other regions across New York and the US have taken note of the simplicity of this program and are working to create their own networks. In the coming months we hope to increase the number of emergency providers, EDs and MAT clinics in our EDIBN, and begin to report patient outcome data. Please visit https://buffalomatters.org and www.mattersnetwork.org for more information and for assistance creating a network in your region. 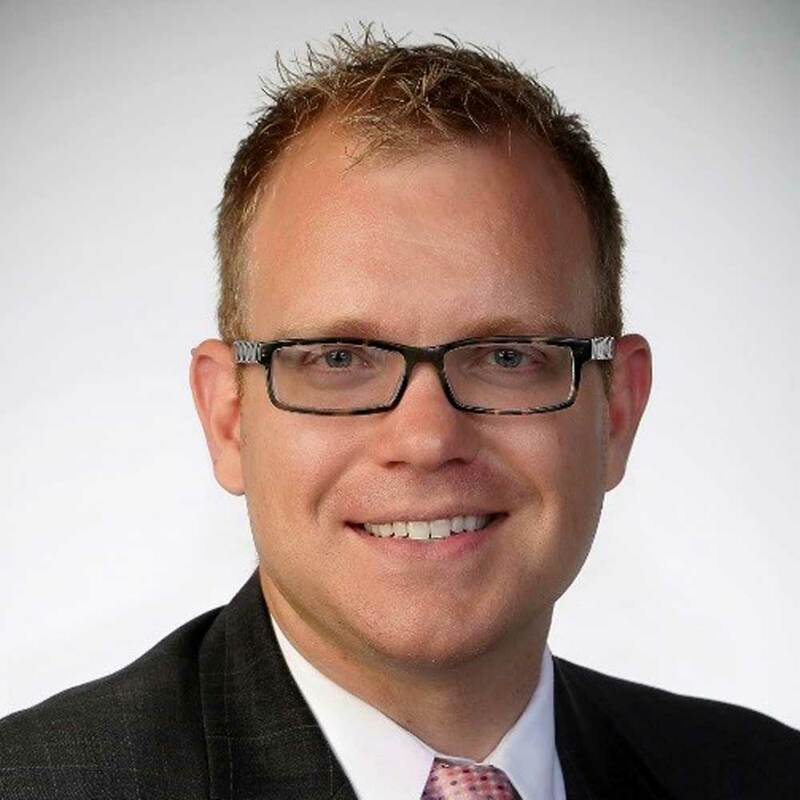 Dr. Joshua Lynch, DO, EMT-P, FACEP is a senior physician with UB|MD Emergency Medicine and holds faculty appointments at the University at Buffalo and Lake Erie College of Osteopathic Medicine. Dr. Lynch also spent over a decade in EMS leadership and several years as the system medical director at Mercy Flight of WNY (aeromedical and critical care transport). Dr. Lynch serves on the Erie County, New York Opioid Epidemic Task force and works as a medication assisted treatment specialist for the Erie County and New York State Health Departments. He is works tirelessly to educate first responders, the medical community, and members of the public on naloxone, overdose, and other treatment options. Dr. Lynch is involved in research and is the creator of the Buffalo MATTERS network established to provide widespread access to buprenorphine and expedited linkage to treatment across Western New York.